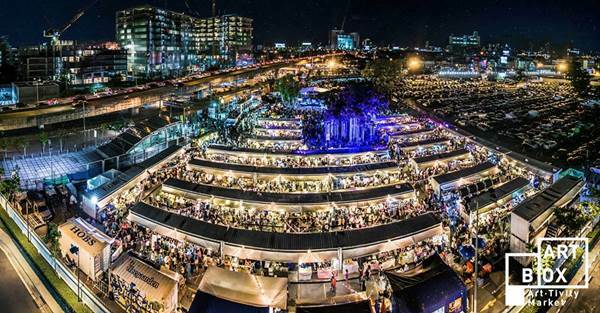 Bangkok's container flea market exhibition continues with the announcement of 2 more weekends at it's current location. After relocating to the E-ZY parking area near Exit 2 of the Queen Sirikit National Convention Centre MRT station, they hope to continue spreading their art vibe, music, live performance, food, and cultural offerings to a new audience. If you missed their last setup, be sure to see what all the rave is about during the latest chapters at this new location.